Going round the 'Pueblo Español' you can see two reproductions of buildings in Ayllon. 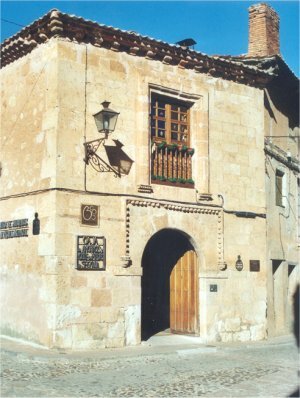 The one you are looking at now is perhaps the oldest civil building in Ayllon. 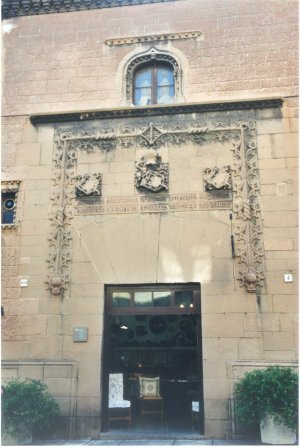 It has been used for different purposes and in the early years of the last century, it served as the barracks for the Civil Guard of the town. 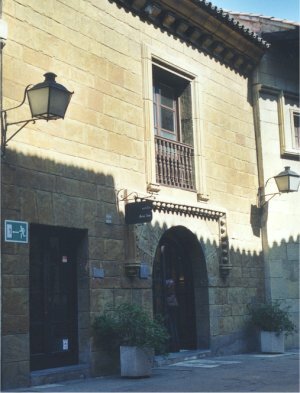 It was renovated around about 1990 when the ground floor became a branch of the Caja de Ahorros de Segovia savings bank, and the first floor was turned into a centre for the retired. "REINANDO EN CASTILLA Y EN ARAGÓN LOS MUY ALTOS PRÍNCIPES DON FERNANDO Y DOÑA ISABEL ESTA/CASA MANDO HACER EL MUY VIRTUOSO FIJODALGO: JUAN CONTRERAS EL AÑO MCCCXCVII". 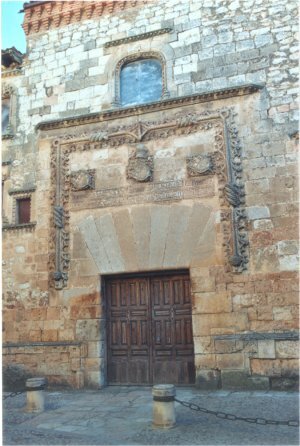 (In the reign of his Royal Highness Don Fernando and her Royal Highness Doña Isabel, in Castilla and Aragon, the honourable and noble Juan Contreras had this house built in the year MCCCXCVII). 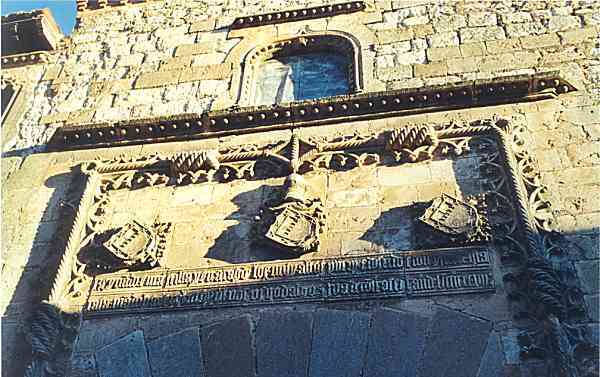 It seems this character, who eventually came to live in Ayllon, was one of the most important aldermen of Segovia and was present at the coronation of the Catholic Queen Isabel which was held in Saint Michael's atrium on the 13th of December, 1497.